It’s hard to believe that until about 21 months ago I had never eaten fish, other than a small piece of gefilte on Friday evenings (and even then, none too willingly!). Having learned how to enjoy them, thanks to Orchideä and the defunct Avenue Plaza Dining (both in Boro Park), I now savor the taste and appreciate the nutritional value of that which for decades I’d considered untouchable, inedible, food. Melt 2 tbsp butter in a skillet. Lightly salt and pepper the fish. Cook the fish over medium-high heat for about 4 to 5 minutes on each side. Add the tarragon, garlic, parsley, oregano. When garlic browns add capers, white wine and lemon juice. Add salt and pepper to taste. Remove fish from fire to a plate keeping it warm as you make the sauce. Melt the remaining butter in the same skillet. Whisk in the cornstarch; when smooth, add the cream and milk, whisking until smooth, cook until it thickens. Simmer for one minute, return the fish to the pan, and reheat for another minute. 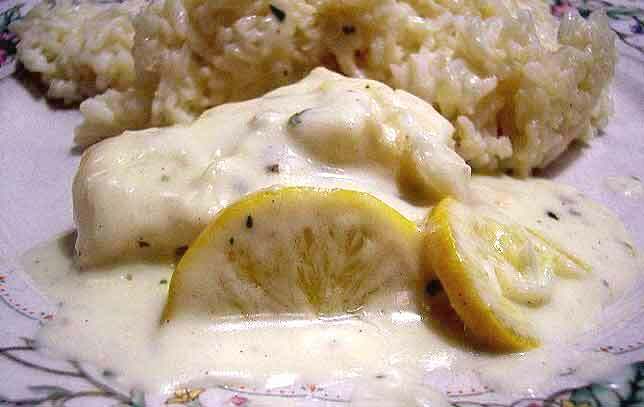 Top fish with sauce and serve with rice.